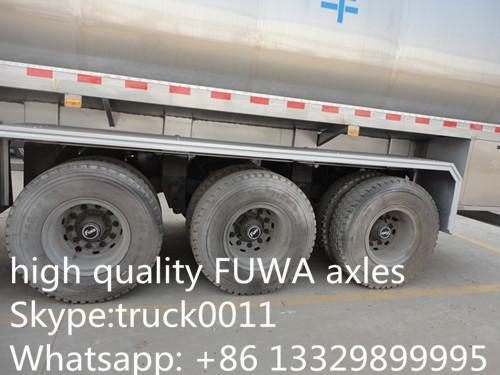 3 axles milk semitrailer is with the overall dimension(L*W*H) of 12600×2500×3850, adopts 13ton fuhua axles, 12 sets of 11.00R20 rail tyre, 28ton outriggers, with ABS, etc. This time the Mongolia customer jut order 3 axles 45cbm milk semitrailer. 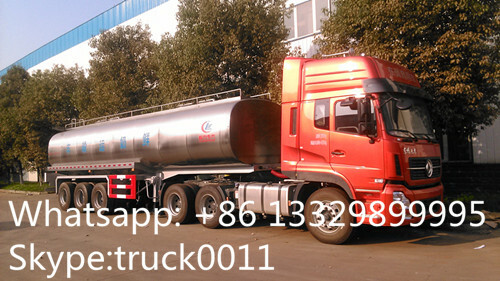 And there are five components of the tank semitrailer, the outer layer with insulation layer to avoid the fresh milk going bad. The inner tanker is polished by the special equipment, and making sure no milk hanging. The inner tanker is smooth, non sharp angle, etc. There is CIP(cleaning device) installed for the five rooms. 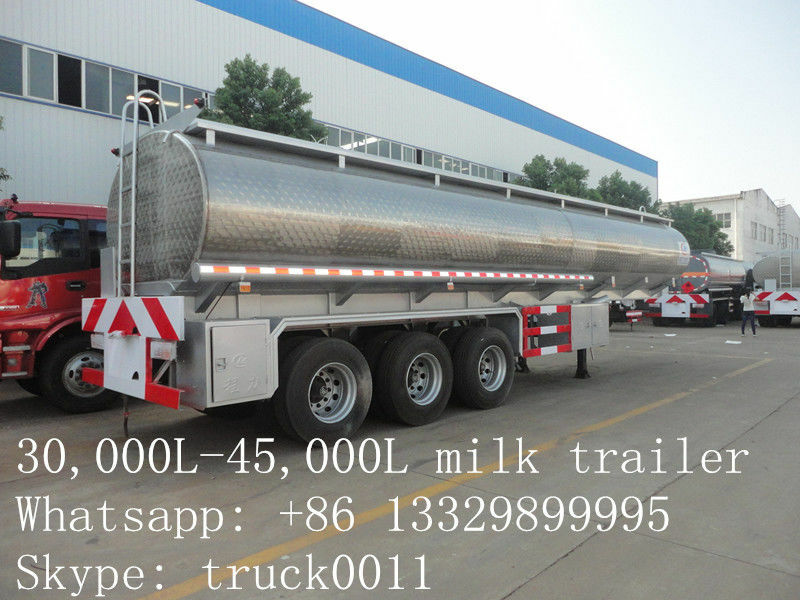 If you're interested in our fresh milk truck, please feel free to send email to truck0011@163.com or talk to Anita directly by Whatsapp/Wechat/Mob. : +86 13329899995. 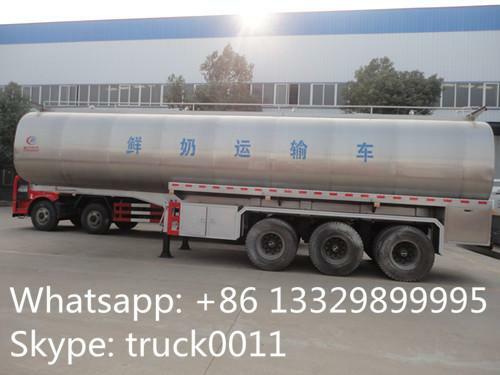 Look at the pictures of 3 axles 45cbm milk tanker semitrailer manufactured by Chengli Special Automobile Co., Ltd.